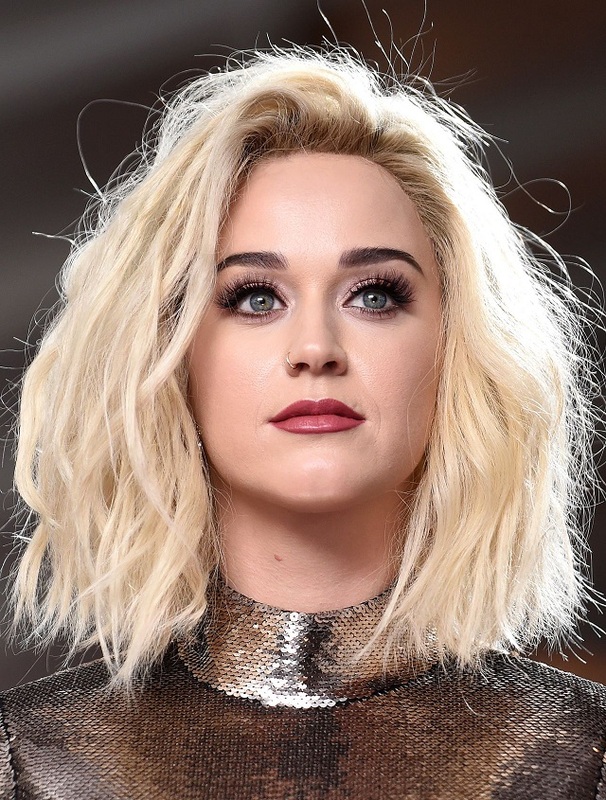 Songstress Katy Perry dazzled in a unique blend of textures at the 2017 Grammy Awards. 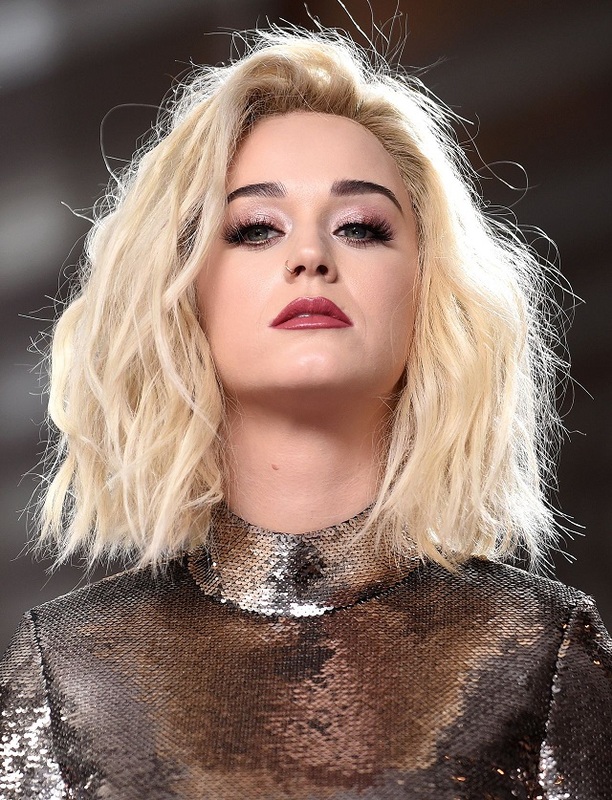 Music's biggest event had the 'Roar' star wear a Tom Ford creation which included a silver sparkling long-sleeved top paired with a long feathered skirt. Katy's skirt included a slit at the back that showed off her toned legs along with a chic pair of gunmetal ankle-strap stilettos. The songstress was every bit fierce and sensational in her stylish ensemble, and topped it off with a slick of deep berry lips. Katy wore her peroxide blonde bob in teased layers, and added a nose ring to add further edge to her look.